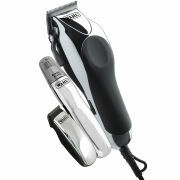 Achieve a smooth and precise cut with the BaByliss Pro High-Torque Super Motor Clipper. Precision engineered Japanese steel blades with a super sharp V cutting angle mean this clipper will allow you to have an accurate, yet comfortable shave. 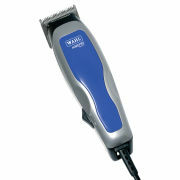 The heavy duty, professional clipper features a high-torque pivot motor with fast speed and supreme power to ensure effortless cutting through longer, thicker hair. 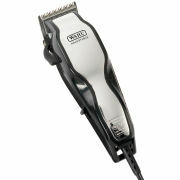 With an all metal housing design and a three meter professional length cord, the clipper is comfortable to handle during use and suitable for manoeuvring around the room. Complete with a five position adjustable taper control, six comb attachments for cutting grades 1-6, and a convenient hanging hook. – E.W.